I wholeheartedly agree. I traded a sketch for a lap dance once, in Tijuana. I found out later that the only reason I was able to pull off this deal was because the only Spanish-speaking guy in the group told the strippers that I was the artist for Spider-Man. 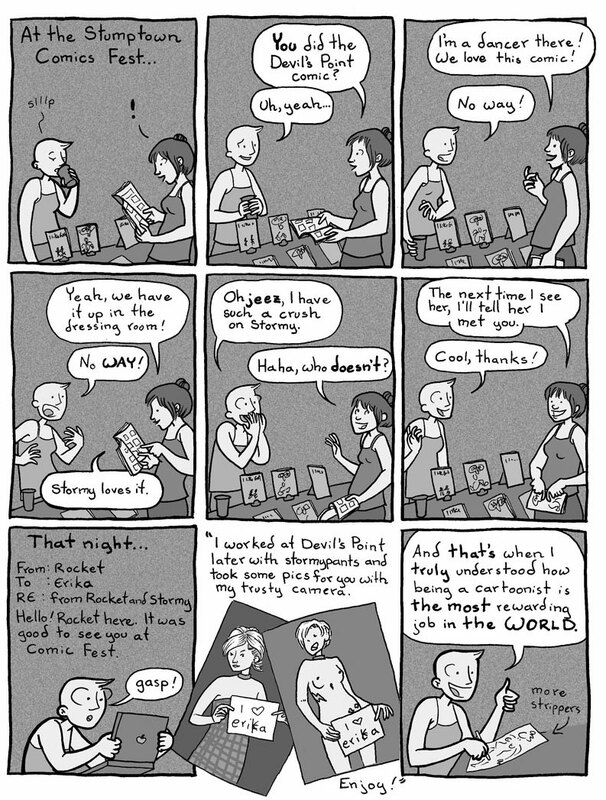 Also: your comic is awesome. Even though I’m reading it backwards. Danny, oops! Forgot to add them when I moved websites. Fixed now! That would definately be an amazing reason to become a cartoonist. Wow, almost makes me wish my name was Erika, and single. Almost, lol.